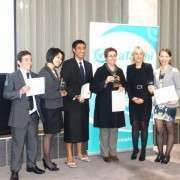 Science teacher Mrs Colyer is no stranger to awards, and last week she added another prestigious trophy to her cabinet. Mrs Colyer was nominated for the Ministry for Youth Development Awards, established to acknowledge those who help to promote youth achievement in their community through any means eg drama, culture, sports, education. Fenella's award was for her services to education, and was presented to her by the Minister for Youth Development. To be eligible for the awards, nominess must have shown a significant contribution to community, addressed a need in the community, demonstrated an ability to motivate, encourage and be a positive influence, shown initiative to provide solutions, and demonstrated commitment, perseverance and leadership. - countered ‘South Auckland stigma’ – proving community youth are not just great at sport and dance, but also science. - given the community pride in youth, hope for the future and boosted morale. - empowered youth to have confidence to mingle with cream of NZ youth crop. - raised the profile of science in community. 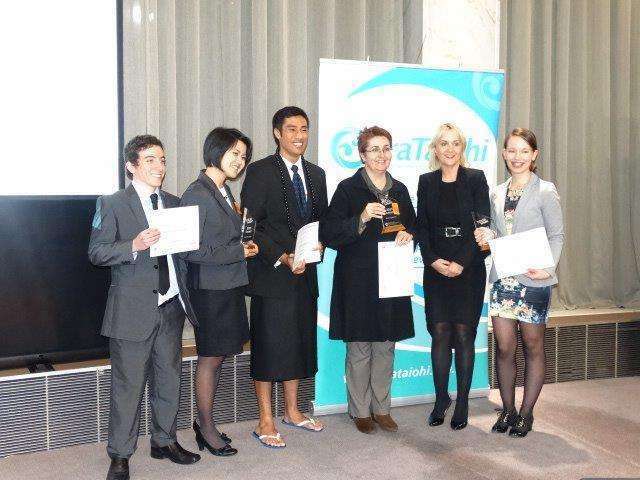 - motivated Pasifika and Maori girls to enter Science careers. - recognised the diversity of South Auckland community, especially the rise of Asian members. Mrs Colyer is an exceptional teacher who has previously won the Prime Minister's Award for teaching. Her motivational abilities have resulted in unprecedented numbers of Maori and Pasifika students entering extra-curricular science opportunities such as Science Fair, Next Young Engineer, Space Camp, Women in Science Conference, Science and Innovation Symposium, National Science Forum and The Sir Paul Callaghan Science Orators Competition. To help students gain funding to attend these opportunities, Mrs Colyer established relationships with Rotary, gaining three awards for “Significant and Meritorious service to the Community” and assisting many students to attend events.